Addiction crept into Robert Windburn’s life an inch at a time. It walloped longtime teetotaler Brent Wolgamott from a blind spot after a surgery and a Percocet prescription. Both journeys could have ended in prison or underground if not for the intervention of the Department of Veterans Affairs. CINCINNATI — Addiction crept into Robert Windburn’s life an inch at a time on soft, silent feet, escorted first by marijuana, then by alcohol and finally heroin. The last habit bloomed into one he estimated cost him about $60 daily at its peak. It walloped longtime teetotaler Brent Wolgamott from a blind spot after a surgery and a Percocet prescription. When his original supply ran out, he used his connections as a pharmacy technician to smuggle hundreds of pills out of his workplace at a time. Even after he lost the job, he said, he could imitate a medical professional well enough to continue faking prescriptions. Both journeys could have ended in prison or underground if not for the intervention of the Department of Veterans Affairs. 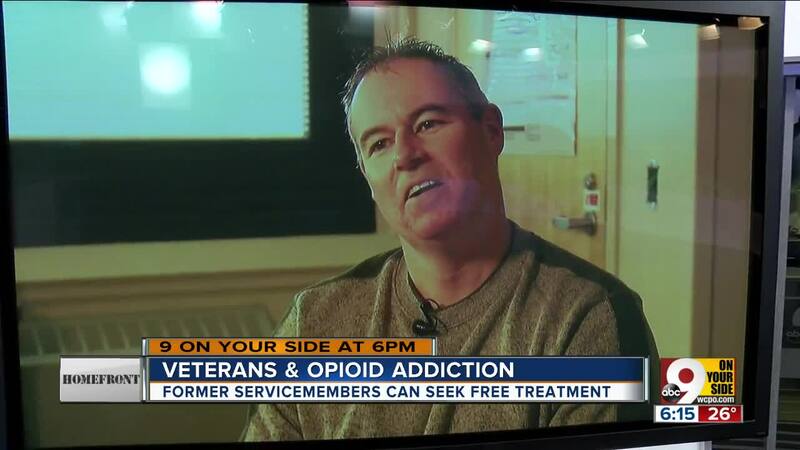 Neither man had realized walk-in addiction recovery services were available daily at the Cincinnati VA Medical Center or that he could qualify for them. Wolgamott didn’t spend much time thinking about his service in the Army, period, he said. Seeking out suboxone treatment through the VA was his mother’s idea; he took his first dose of the withdrawal-preventing drug still skeptical it would help. That was 14 years ago. Although his newfound sense of peace seemed fragile at first, Wolgamott successfully completed treatment and continues to take visit the hospital each month for medication and a mental health check-in. Windburn has been sober for seven months. Daily visits became thrice-weekly as his condition stabilized, and he earned the privilege to take some of his methadone treatments at home rather than under VA supervision. According to Dr. Shannon Miller, who heads the Cincinnati VA Medical Center’s substance abuse treatment program , rates of opioid abuse among veterans continue to exceed the agency’s projections. Programs like those that helped Windburn and Wolgamott can help, but only if the veterans who need them are aware. Anyone seeking the clinic’s services can visit the Cincinnati VA Medical Center between 8 a.m. - 4 p.m. to begin treatment.